this is the M.D. main fighter ATM. As you can see by the menu screen, each one only costs approximately 200K BB. The G2's (the one the M.D mass produced) were only 170K. Approximately 3/5 of the entire M.D. airforce is composed of this plane. The other thing you are forgetting is that this happened over the course of about 1.5 months. It was also done after the M.D. had entered a growth era where we downsized our military and increased production (documented somewhere on this thread), which meant our coffers were full to the brim with resources (documented in the post you replied to). After the great military expansion we had greatly exhausted our resources, leaving almost none to be found in the silos (also documented in the post you replied to). Overall I don't feel that it's overpowered in any way, given the time and the means of creating the planes. We were a relatively undefended nation that needed to scramble to get ready for a possible conflict with a much much larger foe, every last bit of material went into growing the armed forces. Also (probably a stupid question), Did you build any Golden Guns Mindless? Also the Backstory for the Mindl3ss SkunkworX goes back decades with it's BF contracts alone. Aceba One Control blocks are a relatively new aquisition, but We've been making Battlecruisers and Needle Interceptors for quite some time. I showed up with 26 Event Horizon Cruisers of 3 different model generations, some of which have been protecting The Assets of the Mindl3ss SkunkworX since it's formation. And the needle Interceptor is nearly a century old, with Billions of registrations, Millitary and Civillian, flying around Terran Space. SO yeah. My fleet had some time to establish before we joined the Dominion. Also, though brand new, Motherships, likely the largest warships this side of Terra, have joined the fleets. Their numbers are small, though as their astronomical cost and long manufacture time prevent any kind of real mass production. Currently 3 Motherships Oversee the Fleets. The Matriarch is my personal Flagship now, and spends a lot of time In the Eye (The secret location of Mindl3ss SkunkworX) along with the bulk of the reserve Fleet. The Eye's close proximity to Dominion Space allows the reserve fleet to be in system to defend the Dominion in less that 12 hours. In system, A second Mothership, The Empress oversees the 26 Event Horizon Battlecruisers Gifted to the Dominion as they patrol local space. and finally, The newest Mothership, The White Queen, remains in a fixed orbit over Capitol City, An Always Gleaming Star of the Dominion visible day and night. It serves as an orbital city, a great hub of offworld trade, a nexus of tourism, and cultural exchange center for the many daily comings and goings of the dominion and it's visitors. Up in the fleet, each Event Horizon carries 3 wings of 12 Needle Interceptors, and the Motherships each carry 4 wings of 12 Advanced Needles upgraded with Aceba One's Control blocks for greatly increased maneuverability and versitility. Both the Interceptors and their advanced bretheren are consumate space superiority fighters, despite their age. they are fast, maneuverable and very well armed for a snub fighter. Dual Quad Needle Lasers and a pair of heavy cruise Missiles are more than enough to counter enemy fighters and even allow a small squadron of them to engage capitol ships. Their biggest weakness, along with the bulk of the fleet is a general lacking of armored durability. the Better Futures Space frames of the Needle fighters as well as the superstructure of Event Horizon Battlecruisers is not as durable as that of dedicated military corporations such as Hawkeye. Mindl3ss Space forces are fast and heavily armed, with good sheilding, but fragile once those sheilds are dropped and quite expensive overall as well as time consuming to produce. The SkunkworX isnt an industrial Shipyard, just a few slips and a research station tucked away where they cant be found, though with the recent addition of the Mothership Space Dock, the SkunkworX is growing. The Exact specifications of the Research station and SkunkworX Shipyards is not known, nor is the exact millitary power of the Mindl3ss and the SkunkworX's combined assets. Large fleets rarely gather here, but a steady traffic of Event Horizons travels in and out of system, both to the dominion and other places in the Galaxy. The exact capibilities and strength of Mindl3ss and his Fleets remains unknown, the reserves kept on station are approximately equal to what was given to the Dominion. and while i blur numbers, my main fleet consists of Motherships and Event Horizons. between all fleets, i have no more than 5 Motherships, and fewer than 100 Event Horizons. it is assumed that all cary their natural fighter compliments, and there are several planet and starbase based starfighter corps in addition to the fleet's fighter compliment. say 10 garrisons, scattered about Dominion Space and within The Eye, each equipped with 3 wings of 12 Needles. Hundreds of much older vessels from Hawkeye and GSO form the core of the civilian fleet and all the old Hawk Eye Atrigon Class Warships that used to form the SkunkworX's ragtag millitia before the big BF contract happened have been decommissioned and sold to friendly merchants, traders, and prospectors. While Mindl3ss has a large standing army within the Eye, His position as Protector of the Dominion Skies has drawn the focus of the SkunkworX to Naval Manufacturing, Several new designs have just been introduced into the Dominion Military, Namely the Assault Spider, A fast and customizable Walking platform capible of scaling verticle surfaces. It's adaptable weapons platform allows for dozens of armaments and mission profiles, combined with it's speed and dextarity, make it a welcome addition to the Domion army. and The new predecessor to the venerable Duck transport, The Hydra III, makes for an outstanding troop support transport. though these vehicles are versatile and capible, they are not true weapons platforms, and thus tend to see more long range support or dedicated transport roles than direct assult. And that concludes the Report on Mindl3ss forces within the Dominion's Space. The Mindless Dominion recently got a tad bit spooked by a possible threat and decided to pour all it's resources into ensuring a sizable armed forces was available at all times. This threat has now been determined to be a hoax. However, the M.D. still has quite an enormous airforce for what it really needs. The M.D. has over 16,000 in-service combat planes... needless to say that is more than enough. The current M.D. leader, Mindless Mr. Awesome, has decided that the armed forces does not need this exorbant amount of planes and has decided to being the process of recycling and re-purposing these combat vehicles. The 85 Rokenshield Fleet Carriers will remain in-service as they have proved to be incredibly useful for the city-state's expansion into the world. Due to the Mindless Dominion's main firepower coming in the form of aerial predators, these Rokenshields have proven to be effective concentration points for the airforce to take on unknown factions that stand in the Mindless Domion's path of expansion. They will be the only M.D. tech to remain entirely untouched by the military downsizing. Of all the military aircraft in the airforce, about 5/8 of them are Aerial Combat Interceptor (ACI) G3s. These cheap little planes are especially useful for carrier operations as they can fit easily in a Maverich AAC or inside a Rokenshield. But their time is coming to an end. The G3s will receive one last update, then their production will be discontinued. Instead the Mindless Dominion will produce High Speed Interceptors (HSI) which can fit anywhere an ACI can, but are faster, more maneuverable, and pack more of a punch than their earlier brothers. Of the nearly 10K ACIs, the Mindless Dominion plans to recycle 4K of them and use some of the spare parts to make 1.2K HSIs. Various other aerial combat vehicles, including the Stharon Heavy Fighter, the Tsandela Heavy Attack Helicopter, the Bolient Central Thrust Assault VTOL, the HESBs, The SkyBenders, and pretty much all other static aerial combat vehicles will have 1/5 of their populations reduced. This does not include airships such as the Maverich or any of Mindl3ss's fleet. The modular runway systems that were once used to field this massive airforce will also be recycled and used elsewhere. Only the modular runways that were used to field the aircraft that are getting recycled will be recycled. It is expected that many of the small attack planes will use the Rokenshields to land instead of the modular runways. The ground vehicles of the Mindless Dominion include about 720 HAGPs, 950 Testoils and 1.2K Gertons. These numbers will be reduced by 1/4. The R&D of the Racionne Heavy Aerial Tactical Enforcer (HATE), the Quolition Battlecruiser, and the Lleyton star carrier will continue as planned. Improvements to the Leoneis Tactical Assault Dropship, the Maverich Armored Assault Carrier, and the SkyBender will also continue to occur. The other merged corporations with the Mindless Dominion are free to do what they feel necessary with their arsenals. This money will be used for further developing the Lleyton. ALRIGHT SOLDIERS ITS TIME TO GET OFF YOUR BUTTOCKS AND GET INTO ACTION! FOLLOW THE ASSIGNMENT AND SEND MISSION INFO AFTER CLEARING. I BETTER NOT SEE ANY OF YOU SLACKING OFF OR YOU'RE IN FOR ONE HELL OF A PUNISHMENT! I BETTER NOT SEE ANY OF YOU SLACKING OFF OR YOU'RE IN FOR ONE HELL OF A PUNISHMENT! Aerial Combat Interceptor (ACI): sturdy but rather underarmed. Has 2 venture Avalanche missile launchers and a quad array of venture healing bubbles, plus plenty of battery life to power them. Decently maneuverable. Found in the hangar. High Speed Interceptor (HSI): Less sturdy than the ACI, but travels at a top speed of 133 mph. Has 4 Avalanche missile launchers and is maneuverable enough to out-turn Avalanche/GSO missiles. Found in the hangar. S'tharon: A heavy dogfighter. 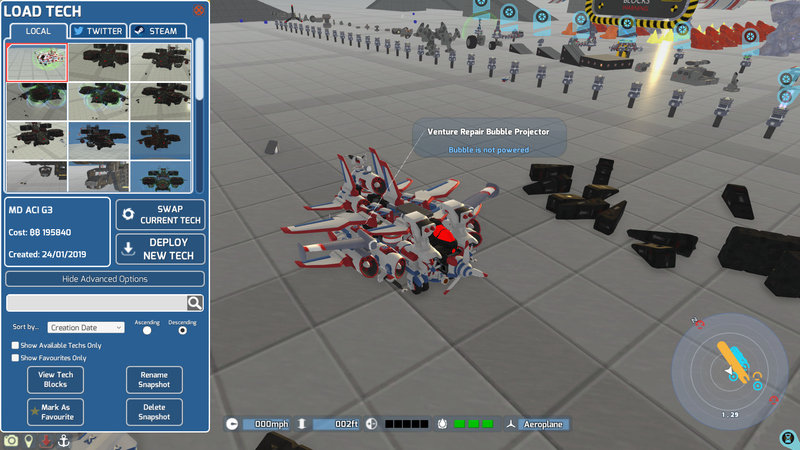 2 GSO missiles, 3 avalanche missiles, 18 HE batteries and a potent repair bubble system along with a HE shield. Maneuvers rather well for it's size. G.A.P. 394c: A Ground Assault Plane. Carries 10 cruise missiles and various bullet weapons, but is rather sluggish. Travels fairly slow. 17.5 HE batteries and a shield, along with a decent repair system. Pelican Assault Drone: Small plane with 2 cruise missiles. Is designed to fire from out of enemy turret range and pull off before it enters it. An alien base has been spotted in a mountain ravine. Use the artillery capabilities of the Testoil to bombard the base from long range, then move in to destroy the units around the base. 1. Deploy the testoil's turret. 2. Properly use the elevation functions of the turret to weaken/destroy the alien main base. 3. Once the base is weakened/destroyed, move in the Testoil to finish off the remaining units. Utilize the VTOL capabilities of the Destharine to takeoff vertically and land at a target zone located at coordinates: (3245, 2500). Then use them again to takeoff and attack targets at coordinates: (3000, 2000). Use the instructions for VTOL capabilities found on the Destharine's steam workshop page here. 1. Takeoff from your starting position using only jets. 2. Fly over to the target zone at (3245, 2500) using normal plane controls, then land vertically on it using the jets. 3. Charge the plane to full. 4. Take off vertically using the jets, then proceed to destroy the enemies at: (3000, 2000) using plane controls. 5. Land vertically at the target zone again using jets.